What Halloween Costume Will Fit Your Kids? | TonerGreen - Eco-Friendly Toners from the U.S.
What Halloween Costume Will Fit Your Kids? Here is another Halloween tip from TonerGreen.com. Of course, it won’t be a traditional Halloween if you or your kids are not wearing a Halloween costume. 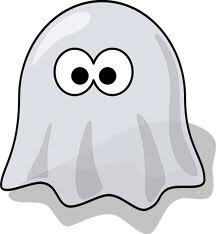 However, with all the kinds of costumes sold in stores, which will be the perfect one for your own Halloween theme? Worry no more because here is a quick list of the most popular yet amazing costumes for this season. 1. Peter Pan is can be considered as one of the most famous characters when it comes to being portrayed. Finding a costume that resembles this boy is very easy plus you can even create your own hat. 2. Costumes made from used boxes are also common ones especially for those who wish to save and recycle. You can just decorate your boxes with different printouts, just be sure to print using the “Draft” settings so that you don’t consume too much toners or inks from your laser toner cartridges or ink cartridges. 3. Superheroes will still remain as the top choices for parents when it comes to their children’s Halloween costumes. Aside from the fact that these make kids look really adorable, it also makes them feel like they are in a place filled with fantasy which, of course, you’ve experienced if you celebrated the traditional Halloween in your place. So, have you already decided on what Halloween costume will fit your kids? If not, better ask them too since sometimes kids want to have the best attire when they go trick or treating this Halloween.